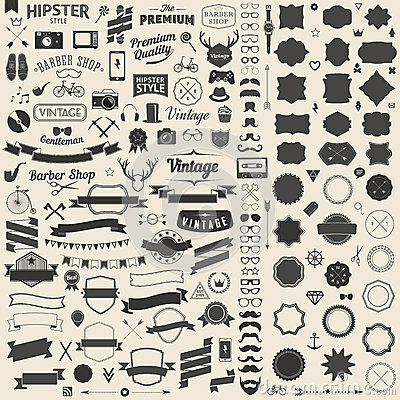 Huge set of vintage styled design hipster icons. Vector signs and symbols templates for your design. Huge set of vintage styled design hipster icons. Vector signs and symbols templates for your design. The largest set of bicycle, phone, gadgets, sunglasses, mustache, anchor, ribbons and other things.